Zwift’s Tron bike is the most coveted ride in game: it takes a lot of work to acquire, it’s fast, and it looks super future cool! Here’s everything you need to know about this special ride. 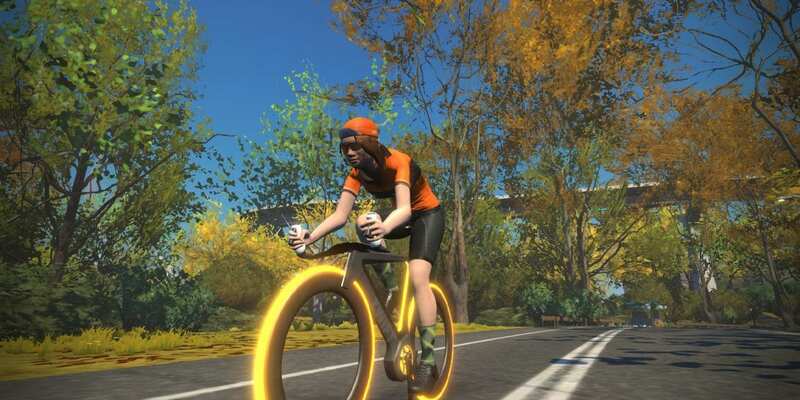 The bike is called the “Zwift Concept Z1” in game, probably because of intellectual property issues related to calling it the “Tron bike.” But everyone calls it the Tron bike, so don’t call it anything else, n00b! It’s the fastest bike available to all Zwifters, beating the stock Zwift setup by 68 seconds on a full Watopia Figure 8 lap in our speed tests. The Tron bike is the only frame which doesn’t let you swap out your wheelset. Of course, why would you want to? Those light-up wheels are amazing! On all other bike frames, your avatar stands up when you drop below 70rpm on a 3% or greater incline. And when you’re in the draft your rider sits up a bit to indicate that you are no longer “in the wind.” Neither of these avatar positions exist for the Tron bike, though. All you get is the standard riding position and the out of the saddle sprint. 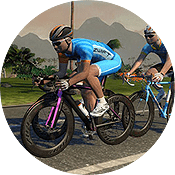 Idiosyncrasies aside, there’s no other bike on Zwift that lets you change the color of your tires. You can dial in your bike color to match just about any kit quite nicely. Thanks, Tron bike! Wait… you haven’t seen the movie? Here’s a clip from the original Tron movie released in 1982. And below is a clip from the 2010 version. Congrats, Oscar! I just joined Zwift, and I’m now working on the long road to tron. hmmm…probably should have signed up for that seeing how I’m currently at 269K feet climbed ? I’m doing the Wahoo Dec. Climbing Challenge, can I sign up for the Climb Everest Challenge at the same time? Yes. Challenges and missions are two separate things, so you can do both at the same time. I’ve looked everywhere but don’t see where to sign up? Hi Phil, when in game, open the Menu, than in the upper right corner you see a rectangular area with a picture in it. Click on the pic, to get to the Challanges screen. There you can pick Mt. Everest Challange (or California / Italy tour distance challange). Sweet! Thanks. All sorted now. 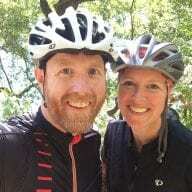 Excellent job with Zwift Insider, Eric. Just curious, do you have any idea as to the percentage of Zwift riders who have earned the Tron? Thanks, David. I don’t know that percentage, no! But I would say in the A and B racing fields it’s probably over 50%… based on what I see in races. Have seen people riding with a Tron bike wheels and frame different colors, how’s that unlocked?